I know, I know…it’s not a Sunday and it’s not a cake recipe, but it’s Pie Week! 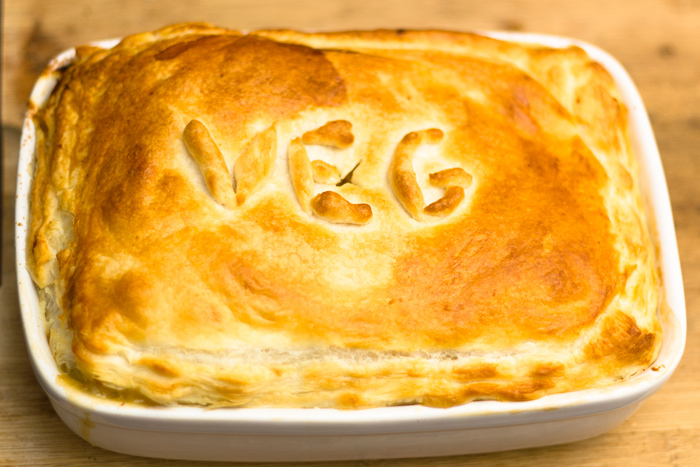 So I had to share my really quick and easy recipe for a cheesy vegetable pie/bake. I have started to get a small veg box from Abel and Cole since work negotiated a great offer. I have been meaning to order one for ages but never got round to it so this seemed to be the right time to get on and order it. And I love it! It really makes me cook with more seasonal veg which means we have been eating more fresh veg. It also means that I have been going to the supermarket less as I always have fresh items in the fridge! This week I had a few bits left over as we didn’t eat at home a couple of nights. So I decided to throw it all together to make a pie. I didn’t have much time or ingredients in the house so this is it at it’s simplest form. You could easily add a creamy bechamel sauce, chicken, ham, chilli, spices…literally anything you have in the kitchen at the time. Or you could top it with breadcrumbs to make a bake ratther than a pie and I’m sure it would work just as well. I’m not even going to write ingredient amounts as I literally added whatever I had. 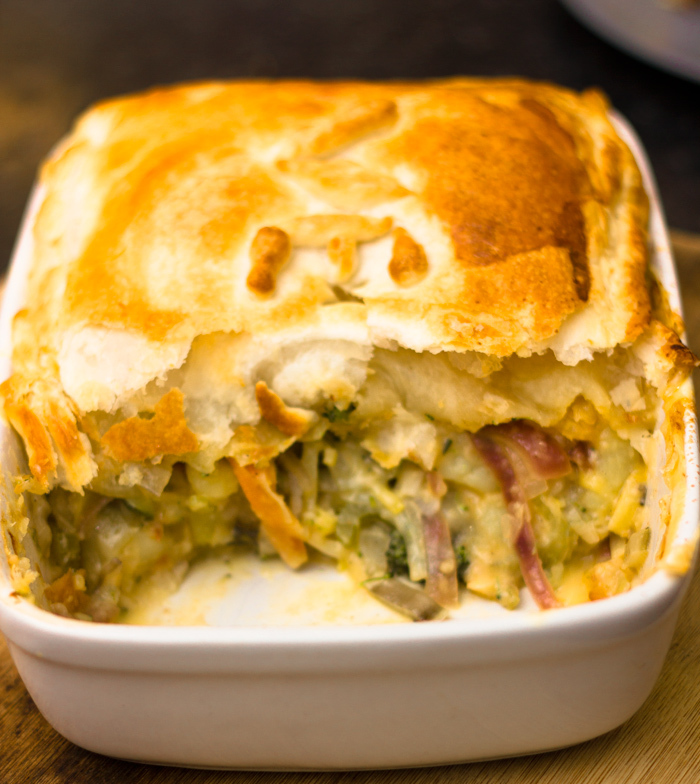 Add veg mix to a dish and top with a pastry lid. And that’s it! This was a lovely pie and I reheated some leftover for lunch today and in my opinion it tasted even better!! It has a lot of potential, but easily as good cooked this simply.